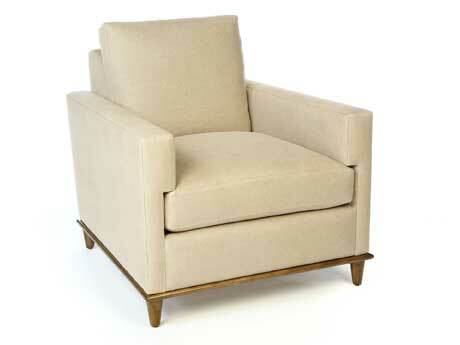 Loose seat and back cushion, boxed with welt. The fill is 50/50 Down/Feathers with a foam core in the seat. Frame is detailed with welt. Mahogany base with bull nose apron and tapered legs finished in a standard stain. Custom modifications available.